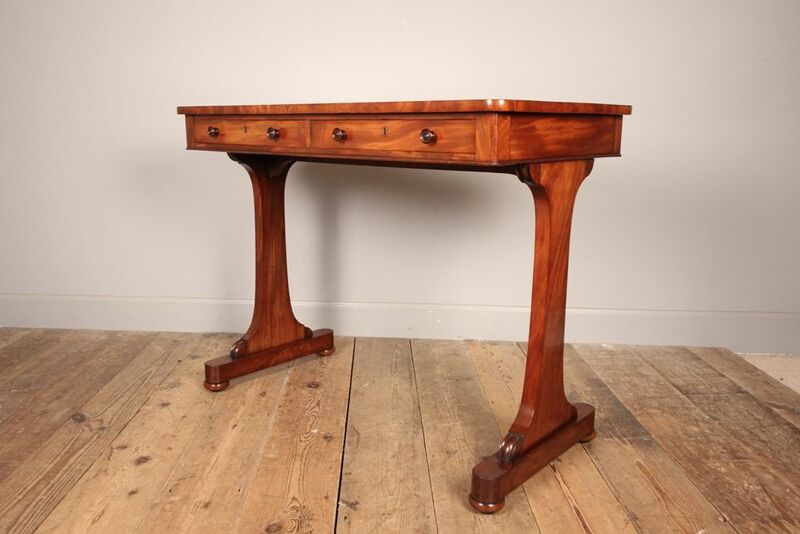 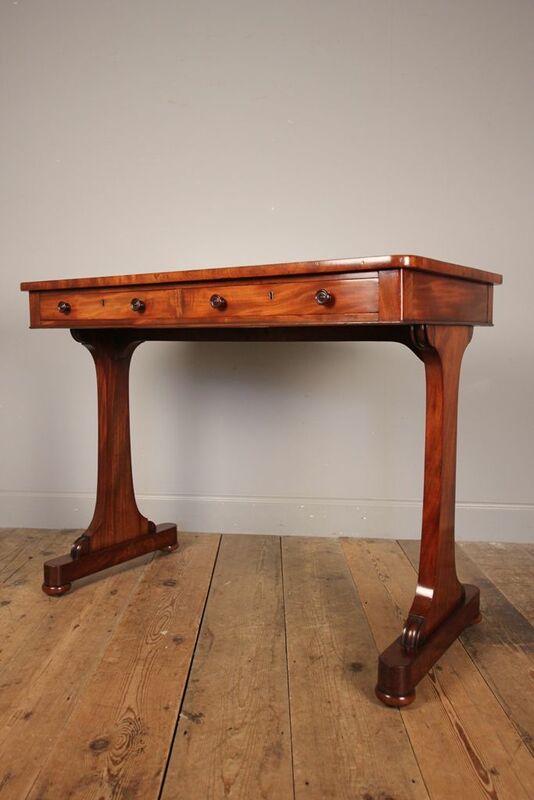 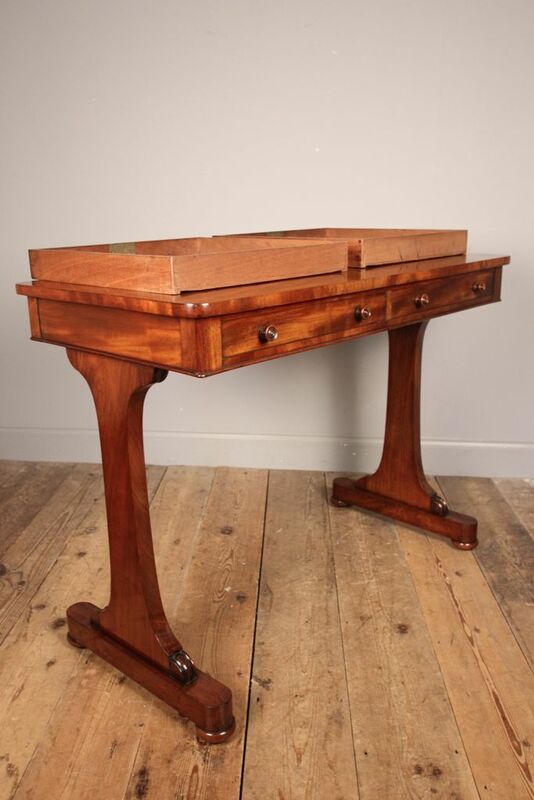 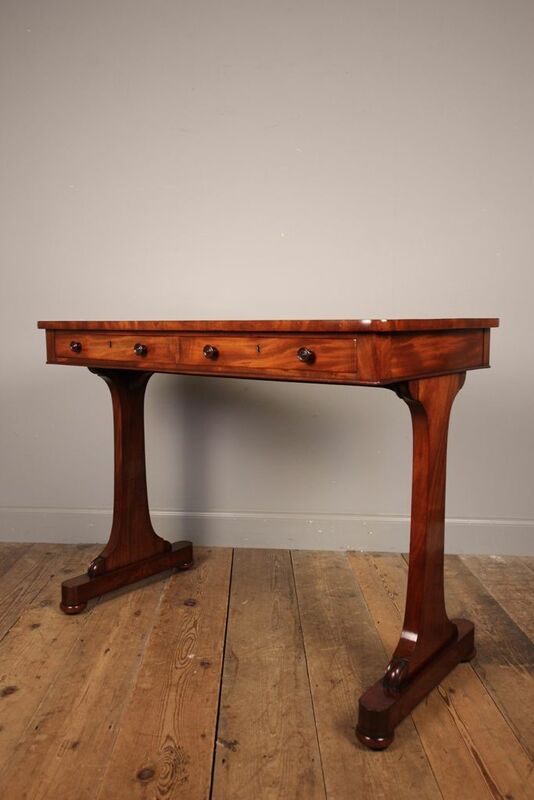 A highly stylish and well proportioned double sided table in super quality Mahogany, after a Gillows of Lancaster design. 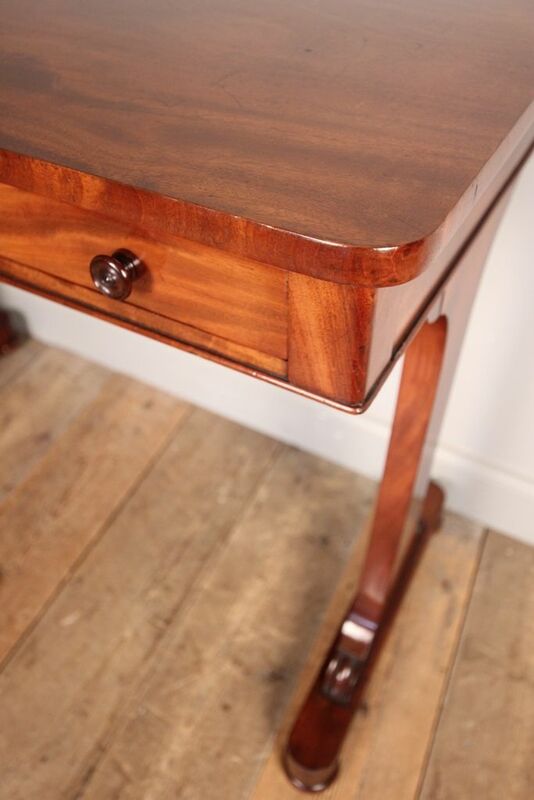 This versatile table having shaped end supports terminating in disc feet with original inset brass castors. 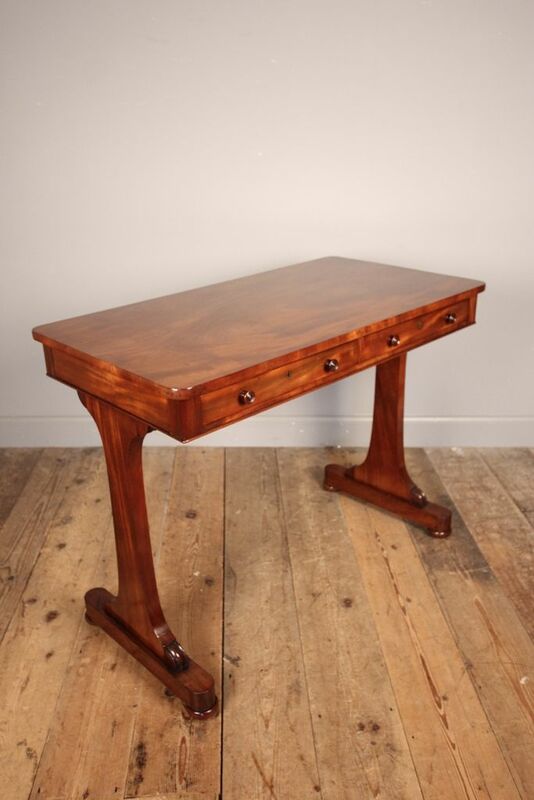 This table would look equally good behind a sofa or used as a side table or dressing table. 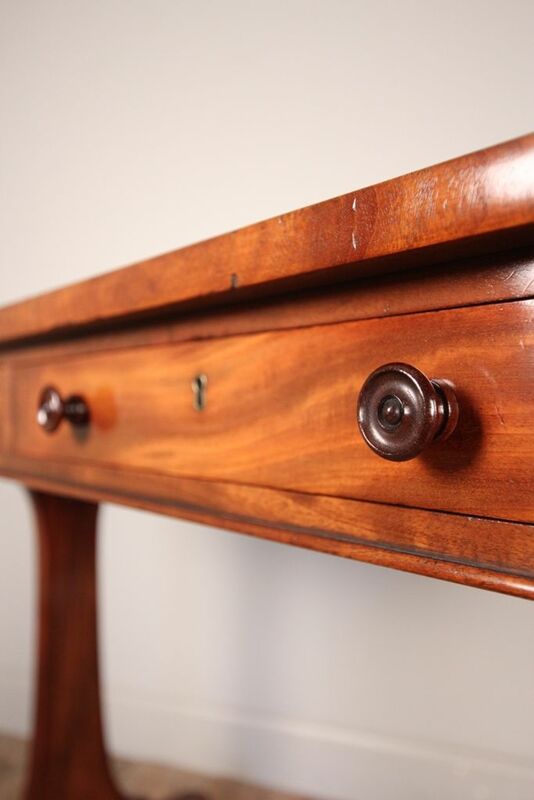 Having 2 working drawers to one side, all Mahogany lined with original handles and locks, and 2 dummy drawers to the other. 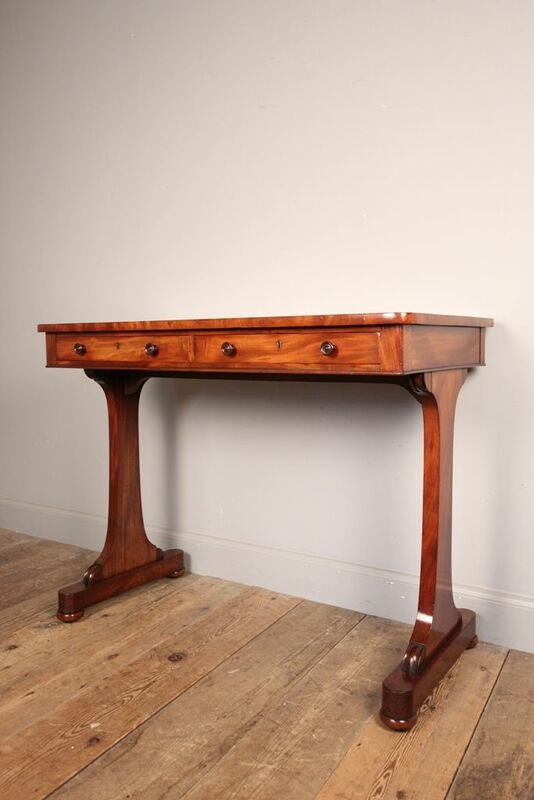 In good original condition throughout with lovely colour and lustre. 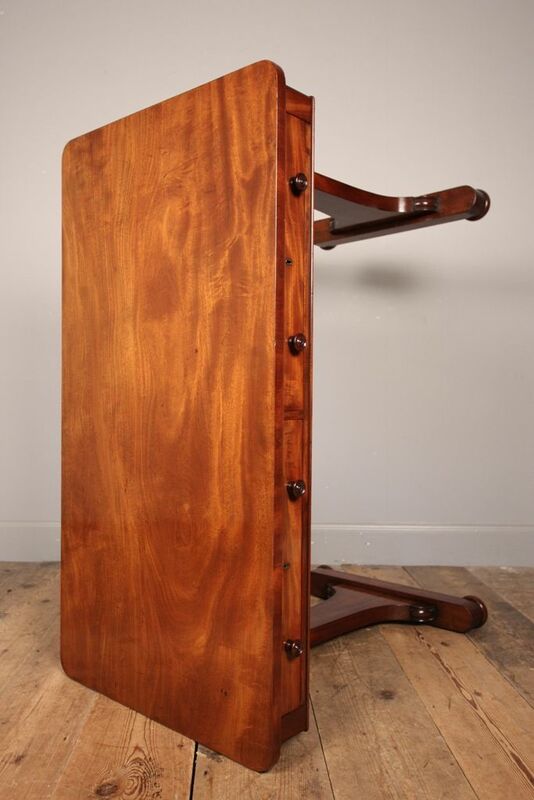 English, William IV.